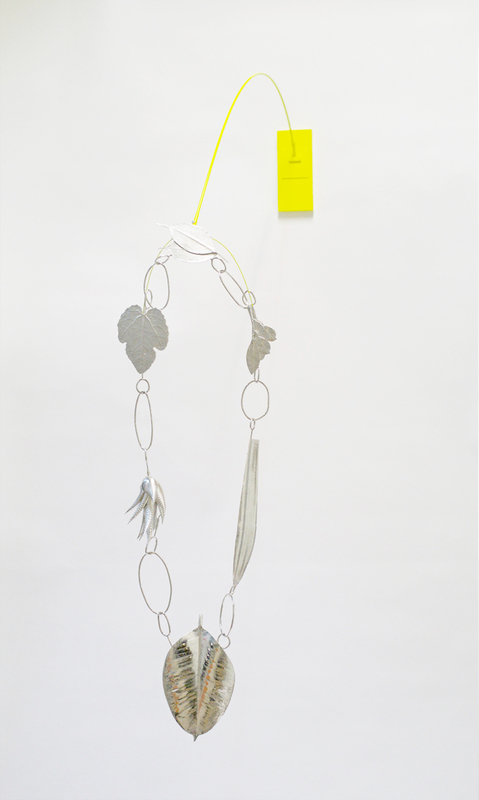 Ted Noten made the rather uncharacteristic piece of jewellery Home Is Where The Heart Is in a limited edition of three. In comparison to the project pieces from this period, it could almost be called traditional. 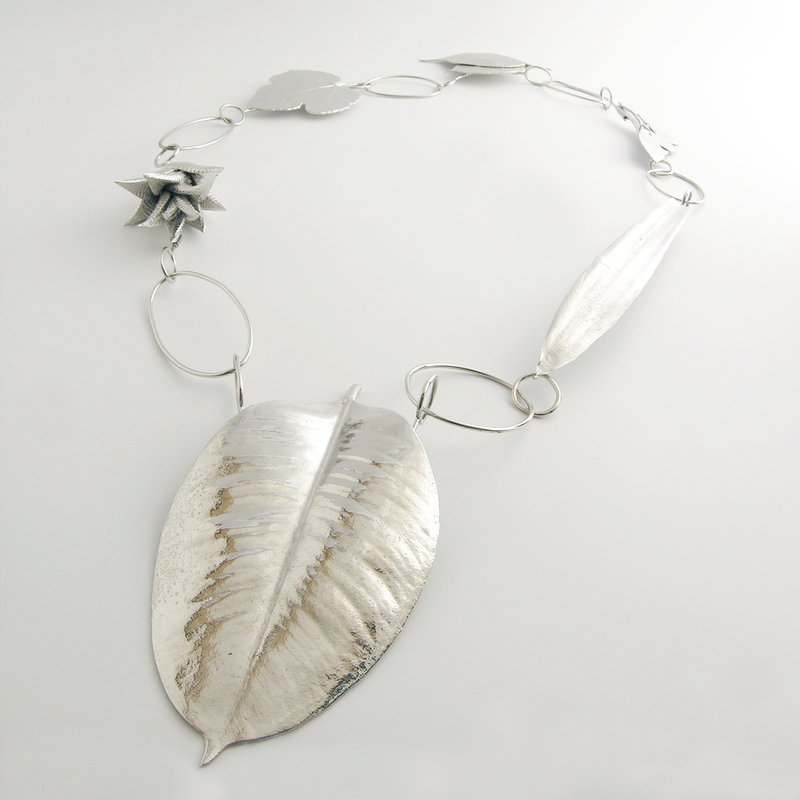 The handmade links of this silver necklace alternate with casts of the leaves of houseplants. 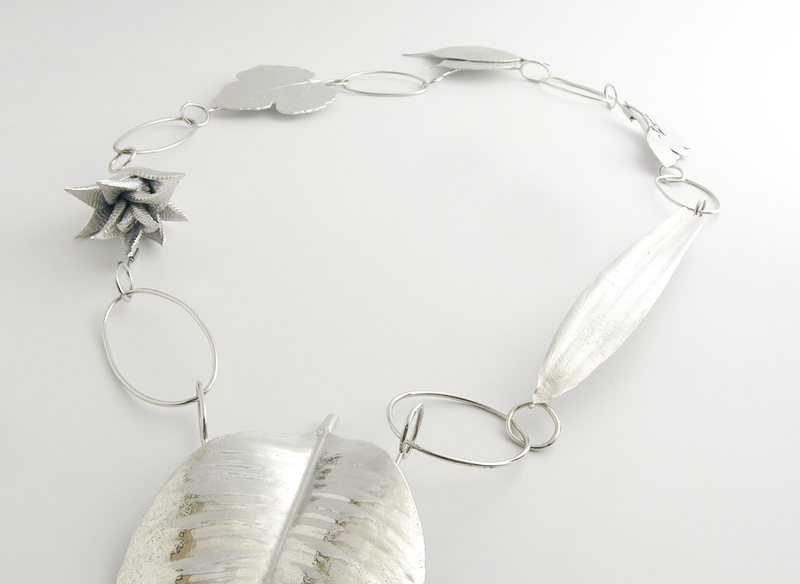 As a final step, the necklace was rhodium-plated to add to its lustre and prevent oxidation.